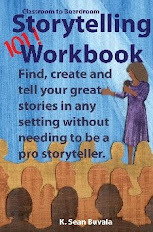 I'm happy to tell you that full0time storyteller Priscilla Howe returns as one of our guest speaker for the August 15-17, 2008 "Outside In Storytelling Marketing Boot Camp." As you know, we will have a different guest speaker at each event. I decided to invite back Priscilla as a type of "living lab" regarding the information we talk about at the Boot Camp. As a respected and working teller, it will be interesting to hear Priscilla talk about the new ideas she learned at the camp last time as well as tweaking the already excellent things she does to market her work. Priscilla and I also have some very different ways of looking at some of the same issues, so it makes for a diverse presentation, too. Use the code dryheat to save on your registration. There is a limited number of spots on this event. We learned so much from the last camp and made some big tweaks. I believe that we will now have an even better experience than the February camp, a camp that was highly praised by the first group of students. We've also moved to a hotel that has a more affordable room rate, if you wish to stay overnight. You can find out more at http://www.outsideinstorytelling.com. "Make the Perfect CD" Workshop Coming Soon! Hey folks! Come get some serious coaching BEFORE you make your next CD. Here is the first hint: don't use the type of microphone shown in the picture!Our workshops are fun and focused. They are not pick-up groups! Rather, they are professional gatherings where we take the time and $$$ we have invested and use it to train you. ....K. Sean Buvala, storyteller and storytelling coach. So, if you have ever lived through a stroke or the stroke of your significant other (I have), then you know that a stroke is not something that you would wish on your enemy. In this TED talk, there is a new perspective. If the video does not play in the player, then go to this link to see it. It's 18 minutes of re-orienting and worth your time. I. We. Me. Us. Let’s continue the “10 Roadblocks to Your Success as Professional Teller” series. Today I am writing about number 3: You are talking to the same people over and over again who are talking about the same subjects over and over again. In looking through my latest copy of Storytelling Magazine (no online options as it is a printed magazine you can get only as a membership benefit or paying the $7.50 each cover price), I was scanning all the advertisements for storytelling festivals. Going from festival ad to festival ad, you’ll see mostly the same featured faces. Miss a storyteller this year at your festival? Fear not, because they’ll be back in two to three years. Very frequently, we are hearing the same voices. Most are talented. But they are the same voices. The same sounds reverberating at our audiences. It is an echo of the echo of previous events. Storytelling, festivals and otherwise, suffers a bit from an “echo chamber” effect. To help explain what I mean, I looked for a good definition online. 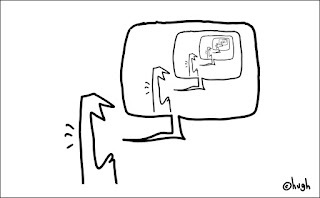 I found one in Wikipedia, the best source never to be believed: Metaphorically, the term echo chamber can refer to any situation in which information, ideas or beliefs are amplified or reinforced by transmission inside an ‘enclosed’ space. There are a number of conversations going on about storytelling, but they are behind closed, protected doors. Tim Ereneta writes much more eloquently about these things than I do. Some of the most common of these groups are the Storytell listserv, the new professionalstoryteller.ning.com and Storytelling Magazine. There is the Festival circuit as mentioned above. On the local level, you probably have a guild you participate in. I am part of all these lists and groups. For example, in trying to develop a recognized Storyteller.net award system for storytelling recordings, the biggest problem was trying to find a panel to judge submissions. I am unwilling to be a panel of one like other award programs use. I could not gather a panel as not one storyteller wanted to be identified as part of the group that passed opinion on another storyteller. First: “Your CD is great! And on and on and on, echoing down the line. In these enclosed spaces, in these echo chambers, storytelling withers. Generally, I do not think any of these groups or membership in them are a problem. What is the problem is our collective lack of outreach to the world. What is the problem is our fear of critique. In testing our new “Outside In” coaching method, the biggest challenge is having the coaching group have a non-apology-wrapped opinion about the work of another teller. I suggest that we open the doors and windows, let the echoes out and begin to hear new voices or old voices in new ways. Invite guest speakers from outside of your storytelling group and indeed from outside of the storytelling artform. Stop separating the “youth tellers” from the adult tellers, throw them all into the same room at the same time. Invite such people as accountants, yoga teachers, marketing consultants, musicians, theater critics, painters and others to attend. Learn from them. Maybe you will even end up teaching them. Find new ways in your guild to coach each other, being fresh, supportive, honest and challenging. Make this article a subject of your next meeting. Hash it out, own what’s real, congratulate yourselves if these thoughts do not apply to your group. Try something new if your guild has become an echo chamber of warm-fuzzy thoughts. Fight to eliminate the “regional teller” or “new voices” labels. Sure, bring in one of the circuit-riding hired lips. Have fun as most are lively, talented folks. Then, fill the rest of the event with your own local talent, talent you are growing in your freshly-refocused guild meetings. Remember the theater critic from the paragraph above? Invite them to the festival and hope they write about you or talk about you in their newspapers, TV and radio programming. By the way, the idea that “if we do not book XYZ teller, then we won’t have an audience” is letting fear dictate your festival or event roster. Remember, when you started, no one knew who XYZ was. And if XYZ teller joined a monastery tomorrow, took a vow of silence and never spoke into the echo chamber again, would you shut down your festival? Keep participating in the closed groups if it helps you. And, for every few postings you have in these groups, post something on your open, public Blog that the general public can read, see, agree or disagree with and learn from. Be a visible storyteller. Develop a thick skin and put yourself, and your opinions, out there. Develop a professional “social network” right out in public, where young people and others can see we are active, real and engaged. Post your videos and stories for all to see and hear. We have lots of “niceness” echoing in storytelling. Why not knock down some walls and let’s have some “freshness” resounding as well? Register for the next camp at this link. “If you are giving any thought to being a storyteller, do not fail to attend the OISBC. You will see that you will be joining a group of professional artists and that you must always be open to the possibility of professional growth such as can be offered by the Camp. You will more deeply respect your fellow tellers. You will realize that even if you are not interested in making a large sum of money, you must charge adequate fees for your work out of respect for yourself and other tellers as well. You will understand the many complicated, challenging (and fun) tasks that face a person who wishes to be a true storyteller, i.e. have listeners to tell to." "Your Outside-In Workshop was full of incredibly valuable information for anyone who wants to take the next step in their telling. You presented with humor and passion. The energy level of everyone was bumped up as you got us involved, physically, emotionally and mentally to pursue our careers on a full time basis. It was delightful! Thanks for your time, talents, and great stories." The question comes up about costs for Storyteller.net live training events. Right now, we are registering for the next “Outside In Storytelling Marketing Boot Camp” (OISBC) to be held in August 2008. One of the FAQ questions asks, “Isn’t this expensive?” Here are a few illustrations in answer to that question. Here is the disclaimer: Your experiences will vary. I can’t and don’t guarantee monetary results, mostly because I can’t live your life and make your decisions. And, I can’t get into your personal self-perceptions to help you value your own time or your own worth as a person and performer. One of our OISBC graduates wrote me this week to say that their “mind set has been permanently altered” because of the camp experience. That’s the idea. Come learn to master the business aspect of “Outside In” storytelling. Just tonight, one graduate of last week’s event called me on the phone. She called to say that she has two summertime clients for which she usually does free shows. She has done these shows for many years. After taking the OISBC, she is thinking differently both about her own worth and the worth of her art form and the disservice we commit against each other by not properly charging for our work as performance artists. So, she took a deep breath and she called these two different clients. She advised them that she can no longer do free shows, but she would be willing to do a discounted fee of $400. She reminded them of the uniqueness of her presentations. Both clients called her back. Both clients are paying the fee. This $800 more than covered the fee for her OISBC experience she had just completed. Not one week out from the OISBC and she has already made back her investment. 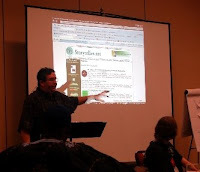 During the OISBC, I share a no-cost method of publicity. This very same method garnered me $6000 in bookings with a single client during this school year. After the OISBC pre-conference homework, we don’t talk theory. We talk about what works. We will teach this to you in the next OISBC. There is a marketing tool that I use that costs me $60 per month. I get results from it all the time, including a single large contract of $9000 during 2007. This year, the same tool brought me a $1900 contract in January. It’s only March. We’ll teach you about this tool in the OISBC. The accountant that appeared at the last OISBC believes that his advice alone could save the average storyteller or artist $2000 a year. I must tell you: the OISBC can’t help you if you are not a competent artist in your art form. No one will pay money for someone who is not mastering the artistic and technical areas of a performing art. As you can tell, our camp is not expensive at all. It’s actually priceless. Frequently, I get advertisements to comparable events that want $350 to $1200 per day for multi-day events, meals not included. Our two days costs less than that and we feed you. Invest in your business. Come, storytellers and artists, join us in August. Yes, it will be hot in Phoenix. We have air conditioning everywhere. You’ll survive. And your business, I believe, will thrive.